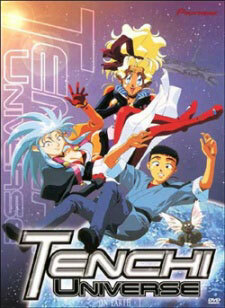 Watch Tenchi Universe Episode 16 English version online and free episodes. Anime Episode guide, Chapter Tenchi Universe Episode 16 English dubbed Carnival! As the school carnival gets underway, Tenchi finds himself spending a pleasant day with Sakuya- made even better by knowing that the girls won’t be popping in through the dimensional tunnel. What Tenchi doesn’t realise is that the girls have arranged to come to Tokyo anyway, and will be dropping in unannounced. But what kind of havoc will they cause once they get to the carnival?